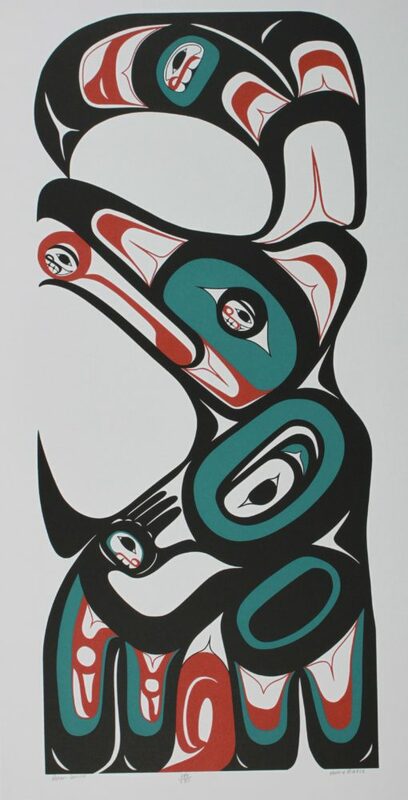 The Raven is one of the four major crests of the Tsimshian people. This design is based on dance regalia and inspired by the dances of the Tsimshian people. 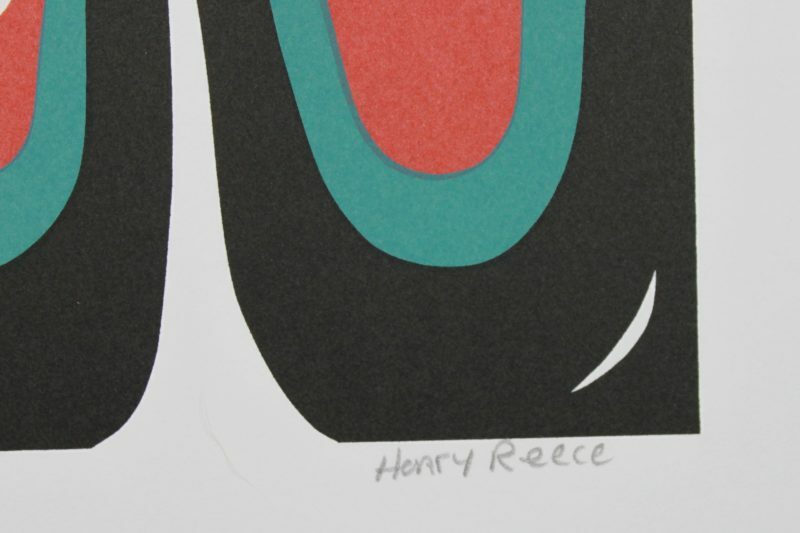 Henry's wife and sons are members of the Raven clan, and this print is a tribute to them. This limited edition silkscreen print titled "Raven Dancer" by Henry Reece was hand produced by the screen printing process. It is the only limited edition printing of these designs. The artist has inspected and signed each copy in the editions. All trial copies of these editions have been destroyed and the printing stencils obliterated.